Now that Hong Kong banks have raised their savings deposit rates together with their prime rates, it's believed that you could earn a tiny bit more interest on your savings by leaving it in a fixed rate deposit. 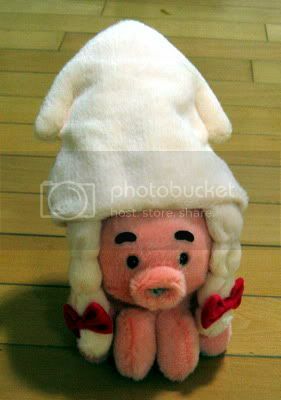 Or you could play it smart and spend it all during the 2005 Hong Kong Shopping Festival. This tourism promotion takes place annually and as the press release goes, promises a citywide festive ambience. Indeed the avenues are decorated with brightly coloured shopping bags in good quality paper that can be re-used for shuttling things like packed lunches and working notes to and from the office. Shopkeepers perform a merry little jig and dance as they bid you welcome into their humble establishments. In the balmy evenings, people cram the sidewalks engaged in convivial discussion and back-slapping over their harvest of purchases. 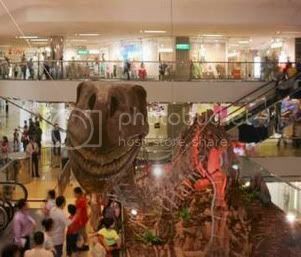 What better place to hold a shopping extravaganza than Hong Kong - a place where you can get practically anything including rare mid-Triassic age dinosaur fossils! The shopping festival also provides the setting for a blistering physical and mental contest. Eighteen teams from around world will compete for the coveted Hong Kong Shopper of the Year title. Will the French team try to demoralise the British team with snarky remarks about their contributions to European agriculture? 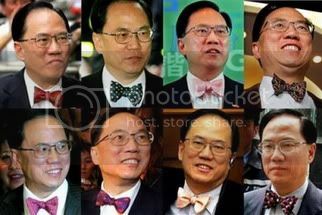 The winner is decided by how wisely they spend an allowance of HK$3000, which is, as our new Chief Executive would say, quite a lot of bow ties. To get an idea of how last year's competition went, you can read this account. If sending out stressed foreigners on wild goose chases to buy gaudy trinkets and dodgy electronics is what it takes to get people spending here then I'm all for it. Somebody needs to get those cloisonne toads moving off the shelves. all the other contestants out-floored. It's like something out of Edgar Allen Poe's "The Raven"! There are many bargains to be gotten over the coming weeks so please strike while the iron is hot. Make hay while the sun shines. Don't put off tomorrow what you can do today. 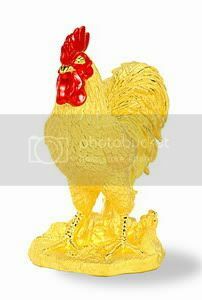 Oh, and a bird in the hand is worth two in the bush, especially when that bird is 24 carat gold. No new post for Thursday other than to say "chin up, London! ".